Romtextil SA is a member of EFIBCA and has implemented the Quality Management System ISO 9001/2001 and ISO 22000/2005 which constantly supported us in securing good traceability, assuring at any moment the guarantee quality of the products. This stage consists in automatic dosage of raw and auxiliary material, the proportion of mixture depending on the manufacturing recipe. The flexibility of extruder, an equipment of latest generation, comes to help the customer, the modification of the manufacturing recipe being a simple setting of the dosage unit. In this stage there are established the characteristics of polypropylene thread which are made by simple settings of the extruder. Having incorporated a process computer, the extruder presents a high reliability. The high working speed (420 rotations/minute) determines rapidity and flexibility in producing different types of threads. Cooling, stretching and forming systems of the yarns are performant and lead to obtaining some high quality polypropylene yarns. The waving is made with performant looms, α-6, that have high working speed assuring an increased productivity and a highly superior quality of the weave. All the settings are electronic, thus being eliminated the human errors. 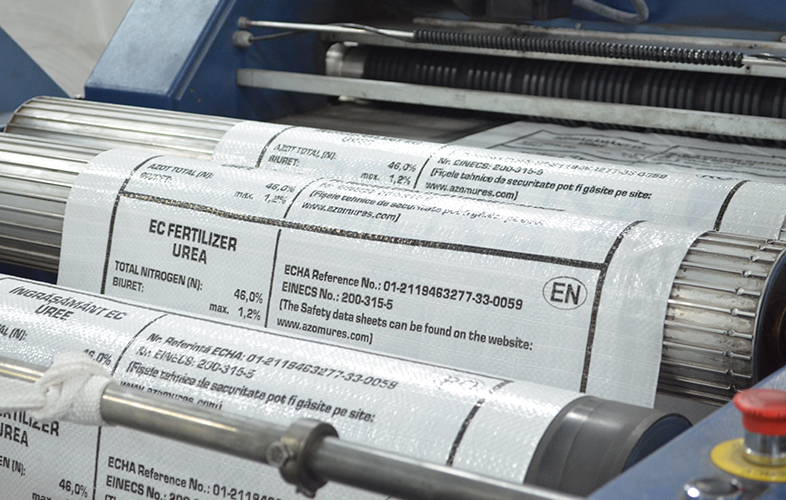 Imprinting is the operation of customization of the sacks at the customer’s request. The company has equipments that execute printing in six colors. The production capacity of the equipment is of 150 sacks/minute which decreases considerably the execution period of the customized sacks. 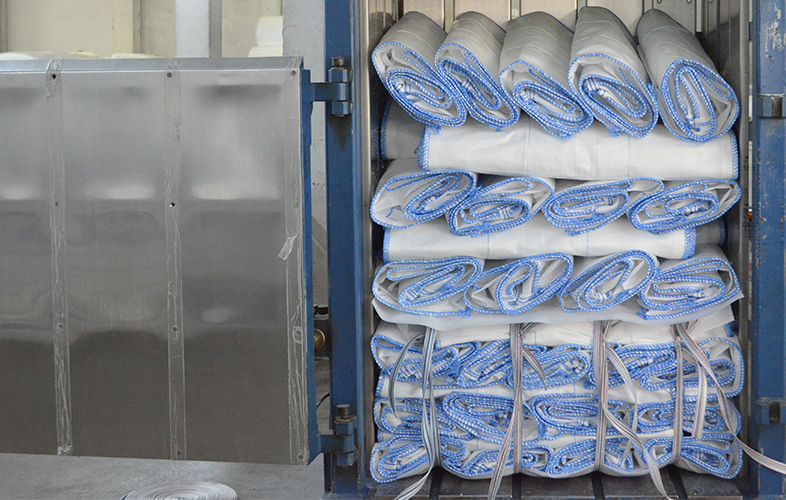 For supporting the qualitative printing is used Corona treatment which is a system of bombarding the raffia sack, by breaking the molecules of polypropylene and fixing the flexographic ink in the free spaces remained. 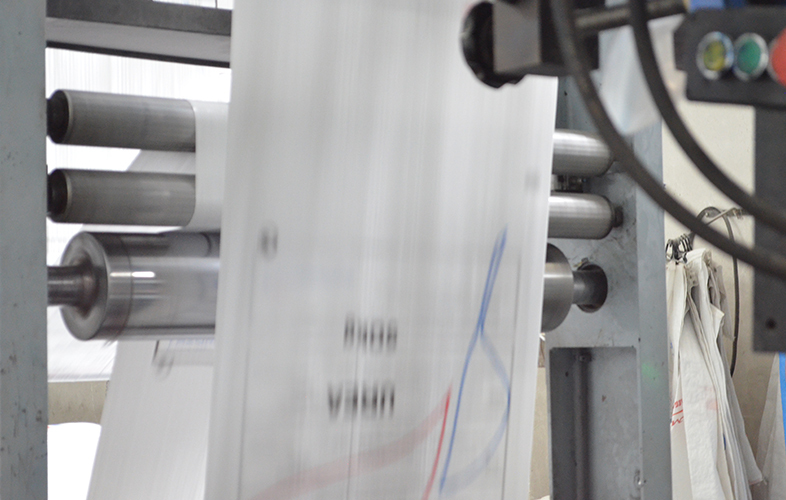 This system helps not only at immediate fixing of ink on the polypropylene fabric but also at its resistance in time. 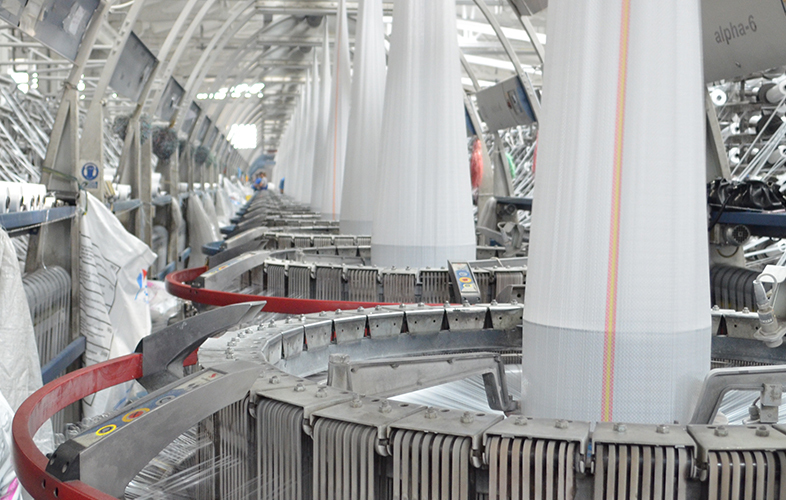 This operation is made with complex equipment that weighs, sews and counts the cut sacks. 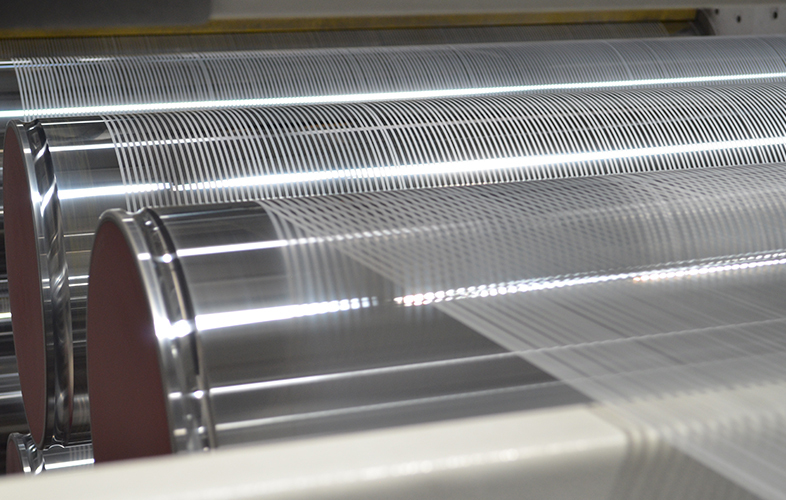 The communication between the process and inductive sensors assure a highly superior cutting and sewing. may be done with simple or double stitch. The packing is made under the form of bales, the number of sacks from the bales depending on the customer’s requests (250, 500, 1000 pieces). The sacks are pressed, packed and stored in aired areas being ready for delivering. 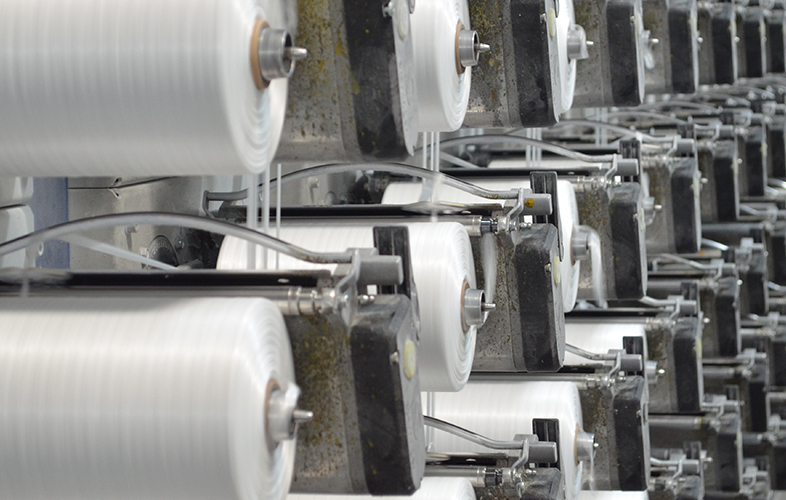 The characteristics of the thread (denier, resistance at pulling, extension, width), of the woven fabric, characteristics of the cut sacks (length, width, dimension of the stitch, weight), the quality of the imprinting as well as the number of the sacks from the bales are checked and registered permanently not only by the operating personnel but also by CTC service.